The Western Roman Empire is on the very edge of catastrophe. Its Emperor dances to the tune of a half-Vandal general, its powerless Senators idle on vast, poorly-managed estates. 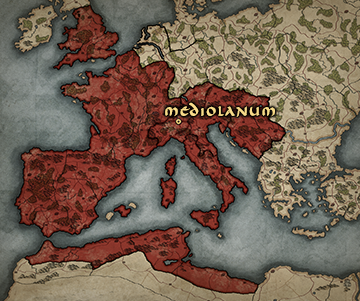 Most cruelly of all, Rome, mother of the Empire, has been neglected in favour of a more practical capital at Mediolanum. Since the division of the Empire the flaws besetting the West have rapidly become apparent. 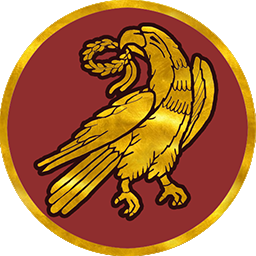 There is neither the manpower or the gold needed for an effective army, leaving it unable to deal with the many displaced barbarians pouring across Rome’s borders ahead of the Hunnic horde. Roman Emperors have become increasingly fragile - many have been manipulated by generals or deposed by their meddling Eastern counterparts. Nonetheless, it is still possible for the Western Empire to rise once again. Times of crisis such as this spur radical change and create opportunities which, if seized upon, will see the Empire re-forged and re-vitalised.